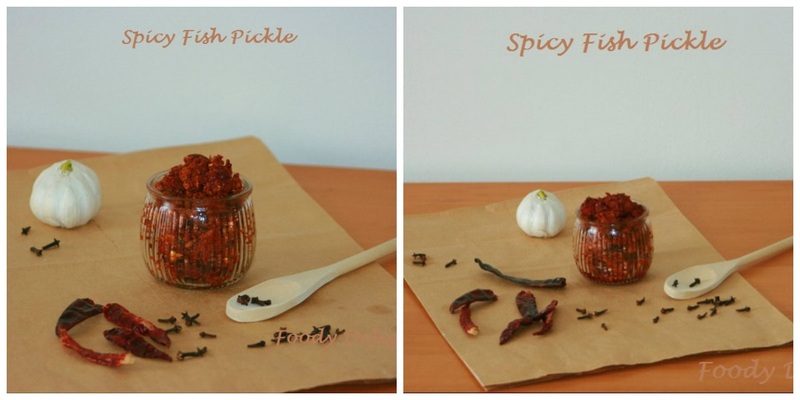 Pickle is one condiment which is loved by most of the people. I too like it alot. But never tried any fish or non veg pickles. So thought to give a try. Believe my try was successful and pickle was super yummy and delicious. In this recipe, I used tilaphia fish fillet but you can make the pickle with any type of boneless or thorn-less fish. With the similar process one can also prepare prawn pickle or shrimps pickle. 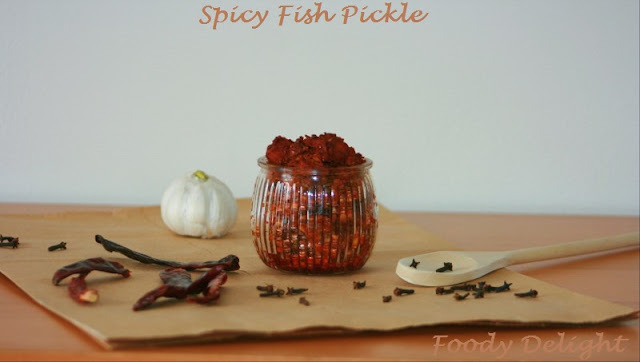 Very soon I shall come with shrimp pickle, till then let's see how to make the fish pickle. Cut fish into small cubes and pat dry the cubes using paper towel. 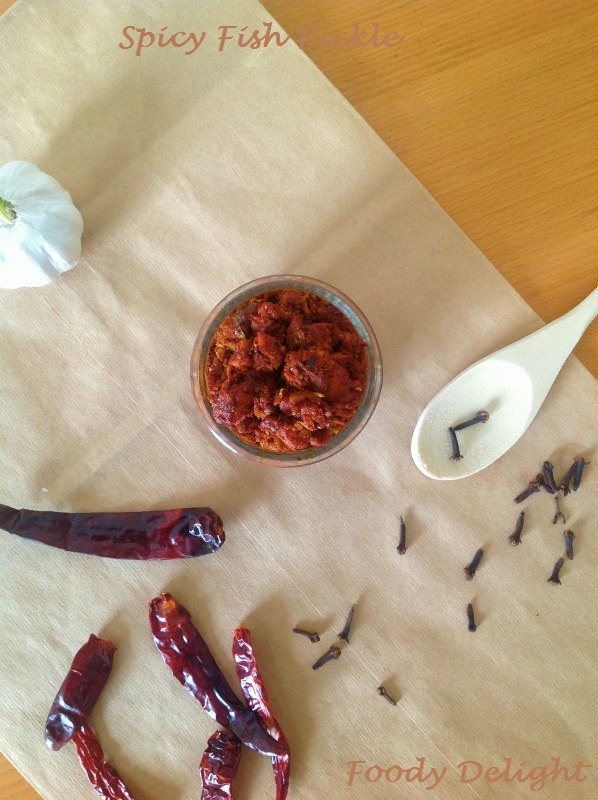 Add tuneric powder, ½ tsp of red chilly powder and salt in the fish cubes and marinate it for 10 minutes. Till then add ginger, garlic , cloves, green chillies and curry leaves in the mixer and grind it to coarse mixture. Do not grind these ingredients to smooth paste, coarse mixture is recommended. Then fry the marinated fish cubes in oil till they are cooked evenly on both the sides. Take out the cubes on to the plate .Keep them aside. In the same pan add mustard seeds and allow it to splutter for 20 seconds. Then add grounded coarse mixture and sauté it till raw smell goes off. Add salt, remaining red chilly powder and fry again for a minute. Now add mustard powder, fenugreek powder and mix well. Finally add fried fish cubes and vinegar. Mix everything well and simmer on low flame for atleast 1 to 2 minutes. Once done, allow the pickle to cool down and then store it in air tight container. Even though the pickle stays well outside, I prefer to refrigerate it for freshness. Mustard seed powder and fenugreek powder are easily available in stores but you can also easily prepare it at home. 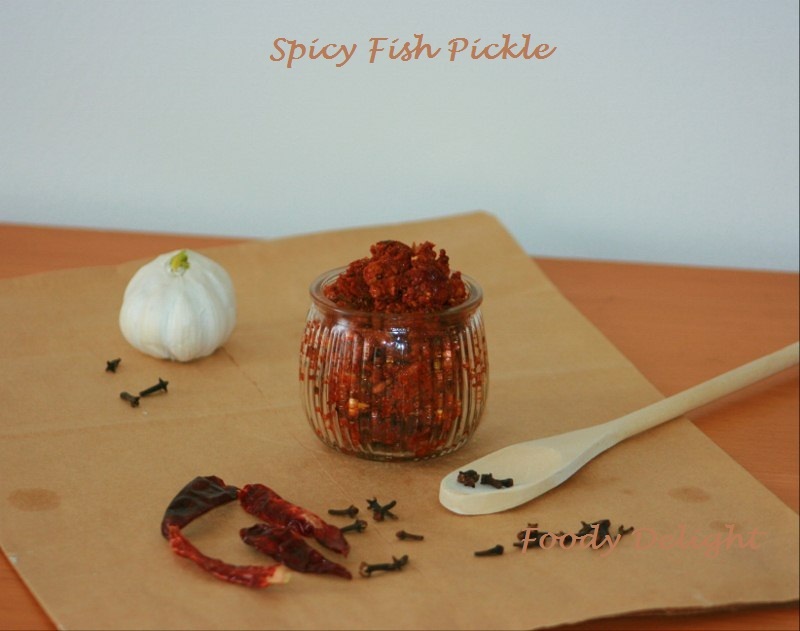 The same process can be used to prepare shrimp pickle or prawn pickle.